Best iPhone Data Recovery software provides 3 methods to recover/retrieve your lost/deleted data from iOS device, iTunes Backup and iCloud. It perfectly support the latest iOS 11. How to Use iPhone Data Recovery? Download, install and run the software. 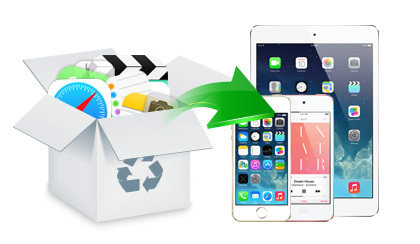 According to your need, you can recover your data from 3 ways: Recover from iPhone/iPad/iPod; Recover from iTunes Backup Files; Recover from iCloud Backup Files. Connect your iPhone/iPad/iPod to your computer, the software will detect your device automatically and show the basic info of your devices on the interface. 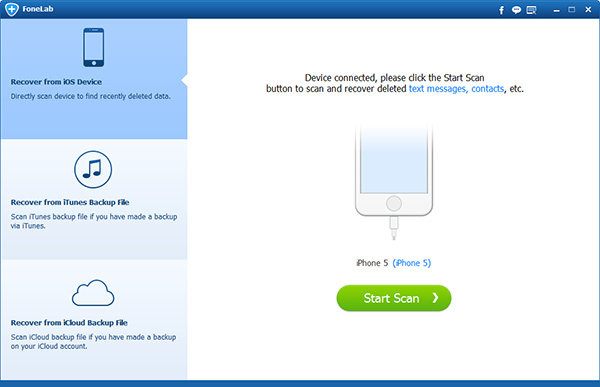 Click “Scan” button to scan your iPhone and find your data. For iPhone 4/3GS users, please select the advanced mode to scan. This mode will help you to find more data than the standard mode. Follow the guide on the interface to enter the scanning mode. 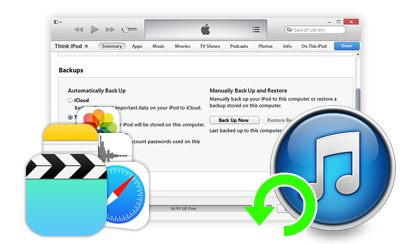 Choose the second and third way to recover data, you need to select the latest backup files to scan and find the data of your iPhone/iPad/iPod. iPhone Data Recovery will complete the scanning process in minutes. All the data will be displayed on the interface with 3 main classifications. Easily click each group on the menu, you can see all the data listed and preview the one you want to recover. After selecting all the data you want to recover, click “Recover” button to recover iPhone/iPad data. This iPhone Data Recovery is an advanced backup and recovery application that allows you to find and restore a wide range of data, like contacts, messages, notes, videos, and so on. This iPhone Data Recovery software gives you fast and reliable recovery options for your iOS devices allowing you to recover any lost or deleted media files, contacts, messages, and memos in just a few moments. It's a light and quite useful app to have. iPhone Data Recovery's straightforward software gives you total control of the backup and recovery process, ensuring that you always have access to the data you need. Definitely a thumb up for this iPhone data recovery! I deleted all my sms with my girl friend by mistake. Getting the info from my friend, I finally recovered all my text message with my girl using this recovery software. 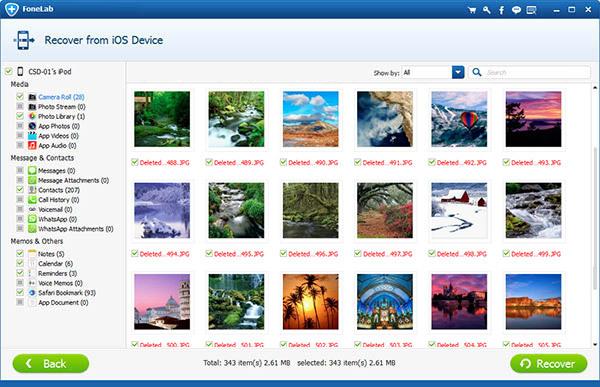 Powerful software and the support team works fast and professional. Thanks again!